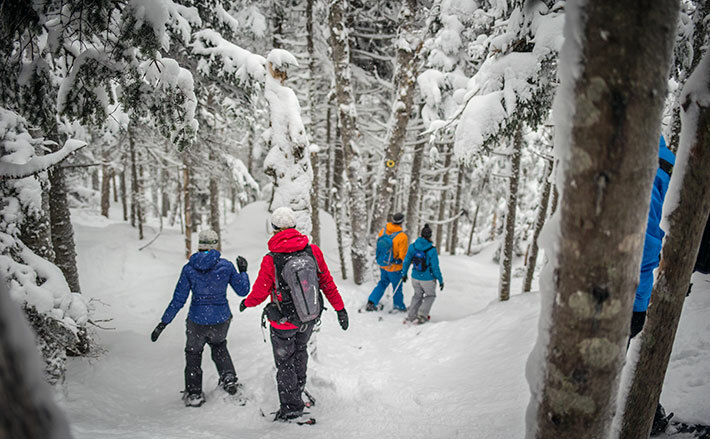 Tremblant and Lolë offer you a chance to win a splendid guided snowshoeing tour accompanied by Olympians Jasey-Jay Anderson and Ariane Lavigne to reach Versant Soleil’s Refuge du Trappeur where you will be treated to a hearty meal. Enjoy a traditional fondue by the wood fireplace in a typical log cabin nestled at the heart of the forest. End your evening beautifully as you make your way back down the mountain led by the moonlight (or your headlamp), all in good company! Saturday, March 15, 2014, from 3:30 p.m. to 8:30 p.m.
You have until March 12 to participate. The winner will be announced on March 13, at noon. Just “like” the Facebook post. No changes will be brought to the menu for allergies or food intolerances.